How To Keep Your House In Great Shape This Spring | Awnings And More Inc.
Spring is a great time for home improvement projects, but before you can consider doing them, you’ll need to do some spring cleaning. Just like the spring cleaning you do inside, you’ll want to spend some time outside as well. Here are some suggestions. Clean your gutters – Make sure your gutters are ready for any spring rain, by ensuring they are securely attached and are draining properly. Clean them out, paying special attention to corners and downspouts. And be sure to seal all leaks. Siding – Once it’s warm enough, use a power washer to clean the siding. This will help prevent mold from growing. Once it’s clean, you can check for weathering and paint failure, and touch up any areas that may need it. Porches and decks – As the weather turns warmer you’ll want to spend more time outside, so take some time now to prepare your porch and/or deck. Check all stairs and railings for stability, clear off any debris from the winter, and double check the longevity of the wood treatment. Usually, wood fences and open decks need to be treated every 4-6 years. Landscaping – It’s time to start cutting the grass again! Start off your spring lawn care routine on the right foot by taking the time to trim any overgrown bushes and tree limbs. Overgrown shrubs or limbs can damage the siding or paint as well as cause severe damage in storms. Cut and edge the grass as well. Sprinklers – After you’ve prepared your lawn for spring, double check any sprinkler systems. Make sure nothing is leaking or exposed, and that the water is distributing evenly. Again, a little preventative maintenance can save time and money later on. Windows and doors – Hopefully you repaired any cracks or problems in windows and doors throughout the winter if you found them, but take a few extra minutes and fill any cracks, repaint, or caulk the edges of window and door sills. You may also want to check screens in the windows and doors, as you will want to patch or replace any holes before the warm spring weather inspires you to open them up. Roof – Spring is a great time to thoroughly clean your roof, especially since you’re cleaning your gutters. You don’t want all the debris to wash down to the gutters and clog them at the first rain. Check surface flashing, soffits, and eaves both on the roof and on any sidewalls. Foundation – A quick, annual check of the foundation walls and floors is definitely in order. Check the concrete foundation as well as any masonry for signs of cracking or deterioration. A good rule of thumb is to repair any crack that you can slide a nickel into. Additional things to check include making sure your heat pump, water heater, venting systems, and aid conditioner are all working efficiently. Taking some time in the spring when these things aren’t running regularly will help you save money on utilities in the summer. 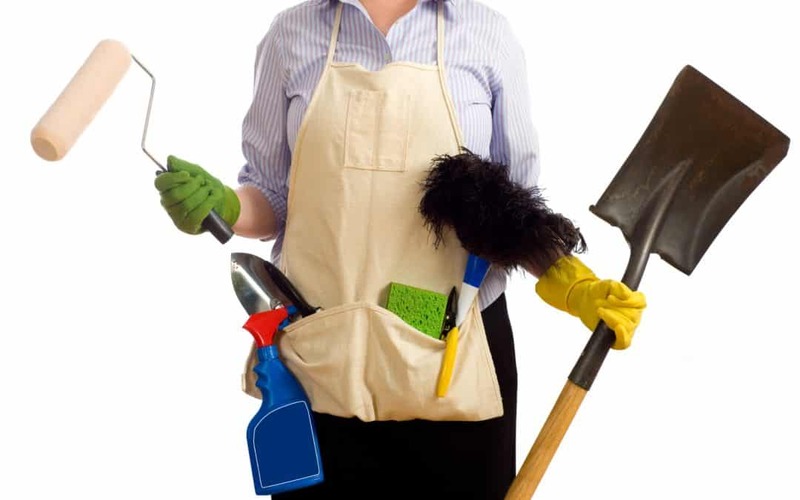 Spring cleaning and spring maintenance are a great way to renew your love for your home. Although awnings don’t require any maintenance or a spring cleaning, it doesn’t hurt to rinse them off if they are dirty or just to keep them looking great. If you don’t have an awning on your house yet or you just want to replace some fabric on your old one, give us a call at (587) 317-6933 or connect with us here. If you are thinking about getting an Awning or Shutter this season, you need get on our list to receive exclusive time-sensitive deals that will make your decision even easier! ...but let's keep this between us. Psst, you made it on the list!